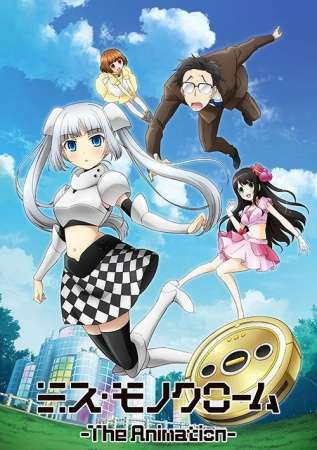 "Miss Monochrome" is an original character design from seiyuu Horie Yui. In March 2012, she first used the "Miss Monochrome" character as a 3D virtual singer to sing her songs at her concert "Horie Yui wo Meguru Bouken III ~Secret Mission Tour~." Later, the character appeared in a range of merchandise as well as in the social network game "Girlfriend ."